"This is no time to be getting all steamed up about La Rochefoucauld. 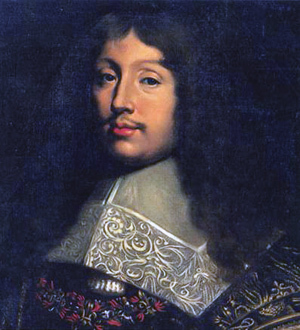 It's only a question of minutes before I'm going to be pretty darned good and sick of La Rochefoucauld, once and for all. La Rochefoucauld this and La Rochefoucauld that. Yes, well, let me tell you that if nobody had ever learned to quote, very few people would be in love with La Rochefoucauld. I bet you I don't know ten souls who read him without a middleman." A man may be ungrateful but is less chargeable with ingratitude than his benefactor. A man will often believe himself a leader when he is led; while with his mind he endeavours to reach one goal, his heart insensibly drags him toward another. Absence extinguishes the minor passions and increases the great ones, as the wind blows out a candle and fans a fire. As we age, we become more foolish and wiser. Everyone complains about his memory, and no one complains about his judgment. Everyone speaks well of his heart; no one dares speak well of his mind. Few women's merit lasts as long as their beauty. Fortunate people seldom mend their ways, for when good luck crowns their misdeeds with success they think it is because they are right. Hardly any man is clever enough to know all the evil he does. How can we expect others to keep our secrets if we cannot keep them ourselves? Hypocrisy is an homage that vice pays to virtue. If we had no faults, we should not take so much pleasure in noting those of others. If we judge love by the majority of its results, it resembles hatred more than friendship. If we resist our passions, it is more through their weakness than our strength. In all professions we affect a part and an appearance to seem what we wish to be. Thus the world is merely composed of actors. In friendship and in love, one is often happier because of what one does not know than what one knows. In jealousy there is more of self-love than love. In love, the first healed is the best healed. In the adversity of our best friends we often find something that is not exactly displeasing. In the human heart there is a perpetual generation of passions, such that the ruin of one is almost always the foundation of another. In their first passion, women love their lovers; in all the others, they love love. It is a great folly to wish to be wise alone. It is a kind of happiness to know how unhappy we must be. It is better to set one's mind to bearing the misfortunes that are happening than to think of those that may happen. It is difficult to define love. In the soul it is a passion to rule; in the mind it is sympathy; and in the body it is only a hidden and tactful desire to possess what we love after many mysteries. It is easier to be wise for others than for oneself. It is easier to know man in general than to know one man. It is easier to seem worthy of positions one does not have than of those one does. It is harder to hide the feelings we have than to feign the ones we do not have. It is impossible to fall back in love with what one has stopped being in love with. It is less dangerous to treat most men badly than to treat them too well. It is more difficult to avoid being ruled than to rule others. It is more disgraceful to distrust than to be deceived by our friends. It is not a pain to give to ingrates, but it is an intolerable one to be obliged to a dishonest man. It is only those who are firm who can be genuinely kind. It is useless to be young without being beautiful, or beautiful without being young. Jealousy is always born with love but does not always die with it. Jealousy lives upon suspicion; and it turns into a fury or ends as soon as it passes from suspicion to certainty. Lovers never get tired of each other, because they are always talking about themselves. Luck must be dealt with like health: enjoy it when it is good, be patient when it is bad. Mediocre minds usually dismiss anything which reaches beyond their own understanding. Moderation has been called a virtue to limit the ambition of great men, and to console undistinguished people for their want of fortune and their lack of merit. Most people judge men only by success or by fortune. Neither love nor fire can subsist without perpetual motion; both cease to live so soon as they cease to hope, or to fear. Neither the sun nor death can be looked at steadily. Nobody deserves to be praised for goodness unless he is strong enough to be bad, for any other goodness is usually merely inertia or lack of will-power. Nothing is given so profusely as advice. Nothing prevents us being natural so much as the desire to appear so. Of all violent passions, the least unbecoming to a woman is love. Old men delight in giving good advice as a consolation for the fact that they can no longer provide bad examples. One is never so happy or so unhappy as one fancies. One must listen if one wishes to be listened to. One must not just have great qualities, but also economize them. Only great men have great faults. Our repentance is not so much sorrow for the ill we have done as a fear of the ill that may befall us. Our virtues are most frequently but vices in disguise. Philosophy triumphs easily over past and future evils; but present evils triumph over it. Preserving your health by too strict a diet is a tedious illness. Self-interest speaks all sorts of tongues and plays all sorts of characters, even that of disinterestedness. Self-love is the greatest of all flatterers. Silence is the surest resolve for him who distrusts himself. Sincerity is an openness of heart; we find it in very few people; what we usually see is only an artful dissimulation to win the confidence of others. Some condemnations praise; some praise damns. Some people's faults are becoming to them; others are disgraced by their own good traits. Sometimes it is pleasant for a husband to have a jealous wife: he always hears what he loves being talked about. Sometimes one must be base in order not to be tricked by a clever man. The art of using moderate abilities to advantage wins praise, and often acquires more reputation than actual brilliancy. The defects and faults in the mind are like wounds in the body. After all imaginable care has been taken to heal them up, still there will be a scar left behind. The desire to appear clever often prevents one from being so. The evil that we do does not attract to us so much persecution and hatred as our good qualities. The gratitude of most men is but a secret desire to receive even greater benefits. The greatest fault of a penetrating wit is to go beyond the mark. The intention of cheating no one lays us open to being cheated ourselves. The love of justice is simply in the majority of men the fear of suffering injustice. The mind is always the dupe of the heart. The passions are the only advocates which always persuade. They are a natural art, the rules of which are infallible; and the simplest man with passion will be more persuasive than the most eloquent without. The pleasure of love is in loving; we are happier in the passion we feel than in what we inspire. The reason that there are so few good conversationalists is that most people are thinking about what they are going to say and not about what the others are saying. The refusal of praise is only the wish to be praised twice. The stamp of great minds is to suggest much in few words, so, contrariwise, little minds have the gift of talking a great deal and saying nothing. The truest way to be deceived is to think oneself more knowing than others. The vivacity which increases with old age is not so far removed from folly. There are few honest women who are not tired of what they do. There are few people who are more often wrong than those who cannot suffer being wrong. There are foolish people who recognize their foolishness and use it skillfully. There are good marriages, but no delicious ones. There are many predicaments in life that one must be a bit crazy to escape from. There are very few people who are not ashamed to be loved when they no longer do. There is a certain dignity of manner independent of fortune, a certain distinctive air which seems to mark us out for great things. It is a value we set upon ourselves without realizing it, and by means of this quality we claim other men’s deference as our due. This does more to set us above them than birth, honors, and merit itself. There is great skill in knowing how to conceal one's skill. There is merit without attainment, but no attainment without some merit. There is only one kind of love, but there are a thousand different versions. Those who apply themselves too much to little things often become incapable of great ones. Those who have had great passions are happy all their lives and would be unhappy to have been cured of them. Those who know their minds do not know their hearts. To succeed in the world we do everything we can to appear successful already. Too great a hurry to be discharged of an obligation is a kind of ingratitude. True love is like the appearance of ghosts: everyone talks about it but few have seen it. Usually we only praise to be praised. We always like those who admire us; we do not always like those whom we admire. We are eager to believe that others are flawed because we are eager to believe in what we wish for. We confess to little faults only to persuade ourselves we have no great ones. We hardly find any persons of good sense save those who agree with us. We may bestow advice, but we cannot inspire the conduct. We may find women who have never indulged in an intrigue, but it is rare to find those who have intrigued but once. We need greater virtues to sustain good than evil fortune. We promise according to our hopes; we fulfill according to our fears. We should not be upset that others hide the truth from us, when we hide it so often from ourselves. We try to make virtues out of the faults we have no wish to correct. What grace is to the body, good sense is to the mind. What makes the vanity of others insufferable to us is that it wounds our own. What often prevents us from abandoning ourselves to one vice is that we have several. When not prompted by vanity, we say little. Who lives without folly is not as wise as he thinks.